There's always time for celebration when a model lands her first major magazine cover and this month, we congratulate Maria Borges on her first Vogue cover. The Angolan born model is photographed by Rui Aguiar for Vogue Portugal's May 2014 issue, as she wears a rather questionable black ensemble. Quite frankly, I'm not overwhelmed here. 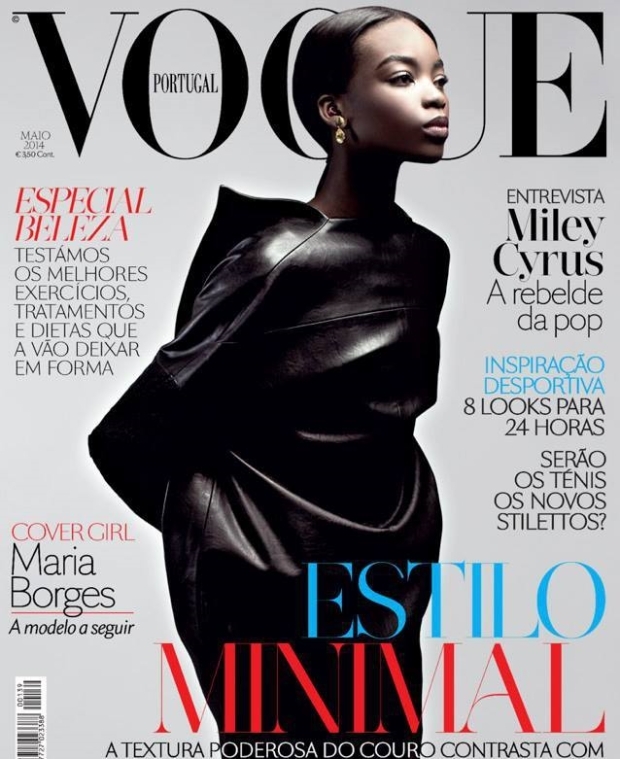 Although most forum members are delighted with this particular cover, with TheoG writing, "One of the best Vogue Portugal cover images in a while, the styling is weird. But nonetheless a powerful image." "I'm really confused by what she's wearing. Her face looks perfect though!" wrote Nepenthes. GlamourousBoy also agreed: "She looks great but that black thing she is wearing is horrendous." As did TeeVanity who wrote, "Maria looks absolutely gorgeous, but I am with most of you not feeling the clothes." Vogue Portugal has produced some debatable covers in the past and I think this is yet another one. I'm with the members who don't understand the pose and use of the clothing here. It all makes for a very messy looking cover, even with the use of sleek fonts and a serviceable layout. Join the discussion and voice your own opinion here.